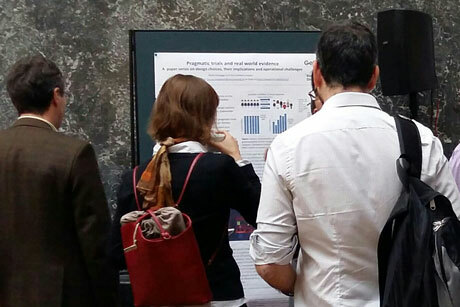 GetReal researchers and a wide range of stakeholders, including participants external to the consortium, gathered at the Royal Flemish Academy of Belgium for Science and Arts in Brussels on 24 November 2016. Project researchers including Matthias Egger, Noemi Hummel, Eva Didden, Yann Ruffieux and Gablu Kilcher from WP4 presented their activities and outputs of the past three years. Lively panel sessions discussed the value and impact of the GetReal results for R&D, HTA and regulatory practice. And participants also had the opportunity to try out some of the exciting tools developed during the project.